Over the past 2 months since I published Some Girls Like Dragons, the question on everyone’s lips hasn’t been: Are you going to write a second book? But rather: When is your next book? So I decided to oblige. Right now we are looking at an August release date since I want to take the publication process a little slower this time. One of the upsides of having already written a book is I now have the funds to go even bigger! I have already spoken to the wonderful Grace Bohlen to have custom cover art made for us as well as some chapter headings. We had a meeting a week ago and I came back from it excited to see what she is going to do with it. I am once again planning on having a professional editor edit it before publication, but at the moment I am still only on my first draft and I’m not ready for a final edit. Speaking of draft: Phoenix is set in the same universe as Dragons, though several years before. In the east, the prophecy of the Phoenix is being brought about by force by the “Phoenix Followers”, a group dedicated to throwing down the old power to bring about a new age. 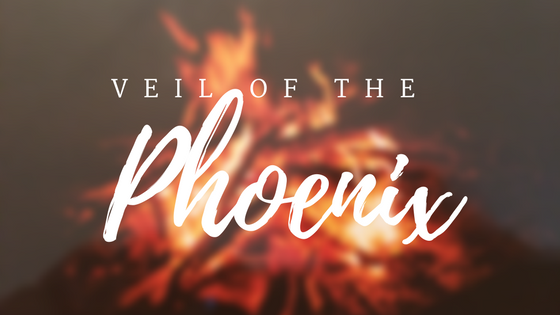 Phoenix follows the story of a young woman, Avery, as she fights against a prophecy, battles the Phoenix Followers alongside outlaws, and then challenges the other nations threatening to smoother her kingdom’s identity. Along the way she meets with some familiar – though younger – faces, as well as some new ones. Keep an eye out for further updates as I finalize details and schedules! ← Book Signing and Other News!